Random Strategy - Select any of Strategy of Random. Lotsize for trades - Put lots size. 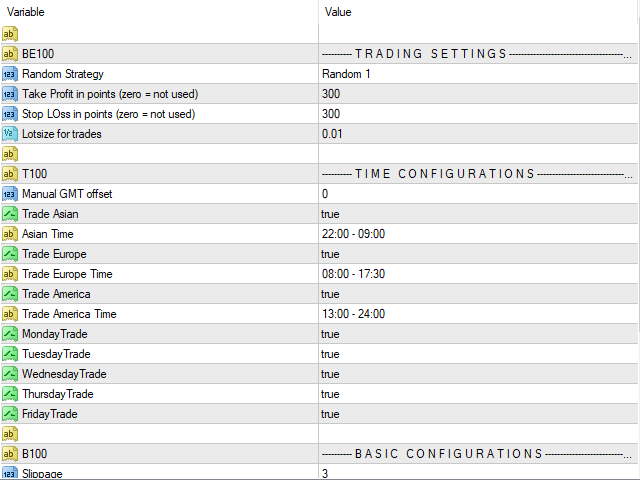 Manual GMT offset: Set your broker GMT shift manually. 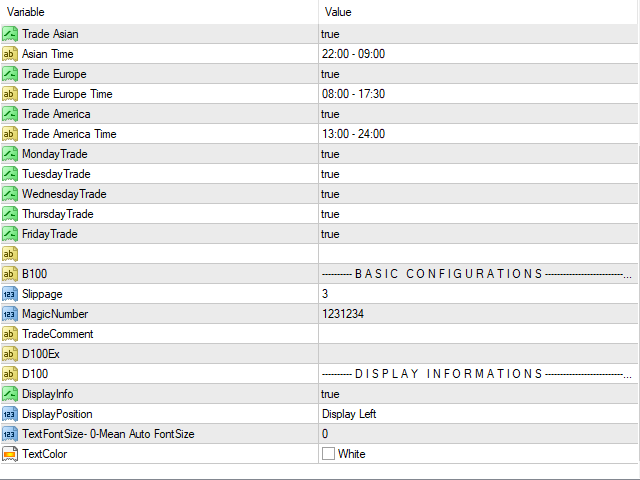 Trade Asian: Asian Time (True/False). Asian Time: Set Asian Time (Default 22:00 - 09:00). Trade Europe: Europe Time (True/False). Trade Europe Time: Set Europe Time (Default 08:00 - 17:30). Trade America: America Time (True/False). 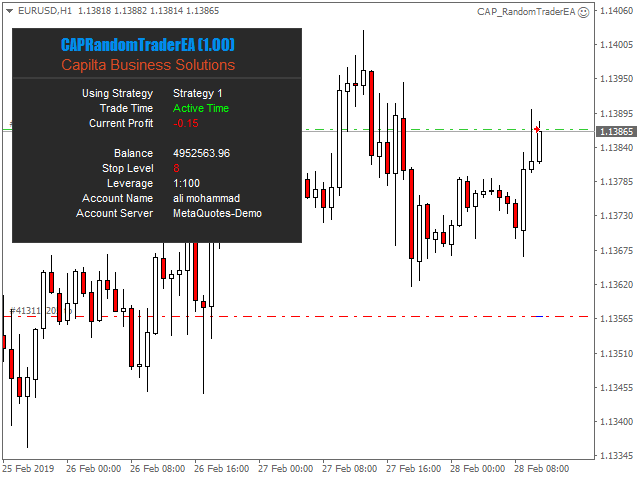 Trade America Time: Set America Time (Default 13:00 - 22:00). Slippage - Allowed slippage when opening a deal (in points). MagicNumber - Set trade Magic number. TradeComment - Set trade comment. Have fun and generate rebates with the CAP Random Trader EA, like hundreds of users have already done!